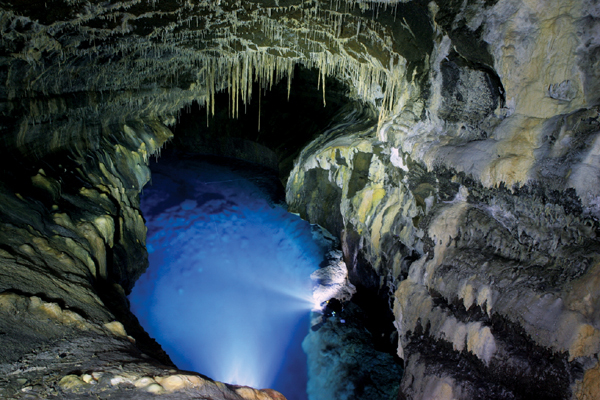 ▲ Jeju’s three UNESCO World Natural Heritage sites. Mt. Hallasan. Photo courtesy Jeju Provincial Govt. With the abundance of UNESCO sites on Jeju one might think the process of designation would be fairly straightforward. However, the coveted UNESCO tag is a rare achievement. Only the few are chosen. Korea’s only World Natural Heritage sites are in Jeju —the next closest site is Yakushima in Okinawa, Japan. Although Korea has many UNESCO World Cultural Heritage sites, until 2007 it was without a Natural Heritage site, given to outstanding examples of the natural environment. 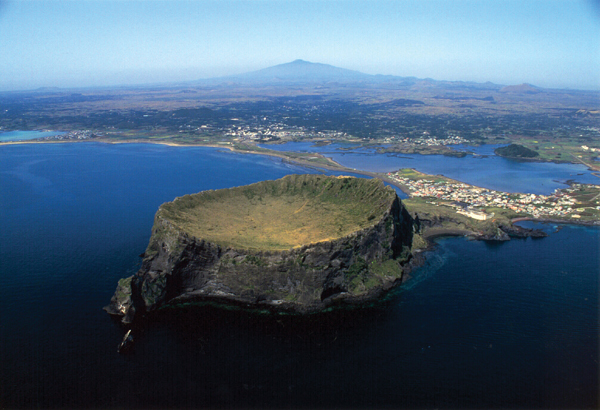 The natural wonder triad responsible for Jeju’s World Natural Heritage listing are: Hallasan, the 1950m. 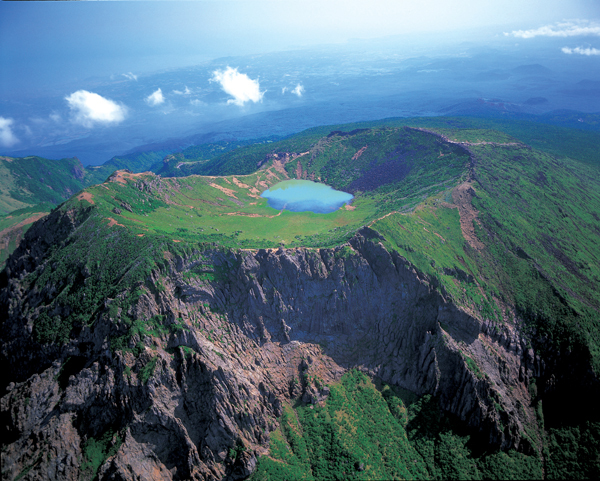 extinct volcano which last erupted 1000 years ago; Geomun Oreum Lava Tubes, lava tube system in the north-eastern corner of Kimnyeong-ri; and Seongsan Ilchulbong, also known as Sunrise Peak, a rare example of a tuff cone. ▲ Geomun Oreum lava tubes. There are 10 such criteria, enough to encapsulate all that over 4 billion years of creation and evolution have thrown at us. It is actually part of an ongoing debate within UNESCO whether the natural wonders of the world are under-represented, compared to cultural properties. It is hard to say just how important this tripartite UNESCO honor has been for the island, but recent figures suggest that foreign visitors to Jeju are significantly up compared to pre-2007. While the impact on tourism is not a consideration in the selection process, as the lifeblood of the Jeju economy it is great news for all island-dwellers. The three UNESCO sites of Jeju offer opportunities galore, from hiking and sightseeing, to fieldtrips and research studies, but arguably above all else they offer us a chance to stand back and appreciate what we have inherited from the earth.